It has been a few months since I last designed a card kit so I thought it was definitely time! This little kit featured below is only $25.00 plus $10.00 shipping. The kit comes cut and ready to assemble. 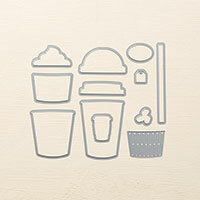 All of my kits come with detailed instructions and photos. 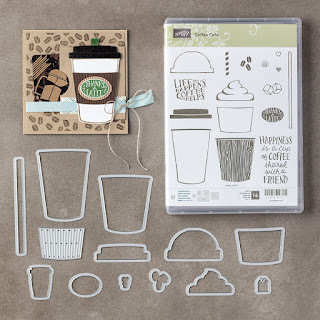 This is the perfect craft project to take away on holidays, away for the weekend, or camping with the family. You will only need to add some adhesive. 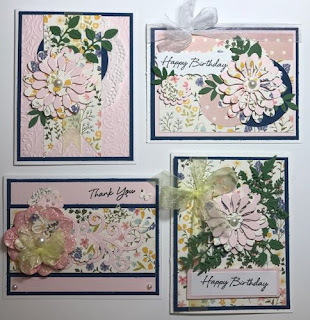 In the kit you will make two Happy Birthday cards, one Thank You card and one blank card. You can purchase this kit on my Etsy store or by clicking the "Buy Now" button below. The new 2017-2018 Catalogue is full of delicious new products...but I think this bundle set is my most favourite! Check out this sweet little video below. The NEW 2017-2018 CATALOGUE has arrived! 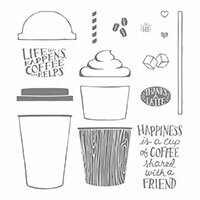 Today I am so happy to be a StampinUp Demonstrator. 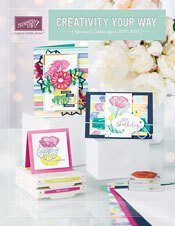 This year's catalogue is packed full of BRAND NEW goodies. To view please click on the catalogue on the right side bar and download to your tablet or computer! 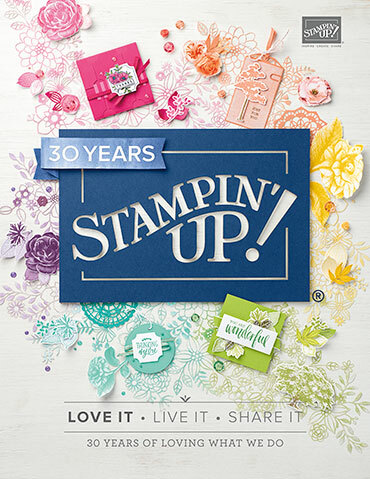 To go to my StampinUp website please click on the StampinUp tab under the "Home" button.